We first read about potato chip cookies several years ago in the Washington Post's annual cookie round-up. If you haven't seen these articles, we highly recommend them. The reporters take their cookies very seriously, going so far as to trash noted chef Michel Richard for a cookie recipe that doesn't produce perfect results and independently testing every recipe several times. Only the best make the cut, and the recommendations are always interesting. We filed the Post's recipe and forgot all about it until reading Mother Rimmy's and Brie's posts last month about their potato chip cookies. What could be a better baking project for kids than cookies which include greasy, old-fashioned potato chips, a snack that is contraband in our house. The fact that the recipe requires smashing the chips to smithereens first makes this recipe even more fun, and with only 5 ingredients, young children can easily take charge of this baking project. The results really do taste like shortbread, with a bit of potato chip crunch here and there. Admittedly a bit odd, but what can we say, the kids loved these from start to finish. Preheat oven to 325° convection (350° conventional). Combine flour and potato chips. Cream butter and sugar until fluffy, then add vanilla. Add dry and mix just enough to combine. Form balls of dough by hand about 2" across (or to suit your preferences). Roll in granulated sugar, then place on sheet pan with silpat or parchment paper. Flatten cookies with your hand (they won't spread much in the oven) and smooth edges if they crack a bit when flattened. Bake until golden and just starting to brown around edges. Our cookies were big and fairly thick, so they took a while to bake through. Wow! I would never have thought of potato chips in cookies...but these are intriguing! Brie le Grand Fromage recently did a potato chip style cookie, you should check it out. Honestly, the delirious sweet/salty combo of chips and cookies is too much for my limited will power to take!!! I love these cookies, I make them too, with pecans, and a drizzle of chocolate on top....I have a link to them on my blog if you want to check it out! Man, mine had more than five ingredients... now I feel like a sucker! How interesting! 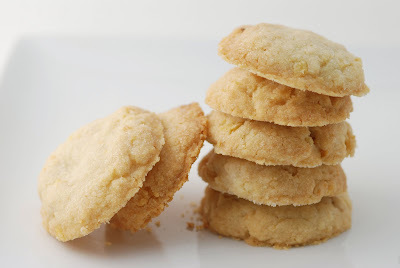 This recipe tops any other cookie recipe in terms of creative use of an atypical ingredient. I'll have to try it on my kids. Have a nice weekend! I have to try them, how fun! Hey Robin! Great looking cookies! Thought I would tell you I mentioned your blog and veganized your apple bundt from your December post. It was great! Thanks! Neat idea, I beat hubby's friends would love these. hey, looks like these are catching on again. ;) yours look great! I don't think mine turned out as pretty as yours! Great picture! ok, i've seen so many recipes for these now i'm going to have to try them! These sound so good, I am looking for cookies to make to send to my adopted soldier in Afghanistan, and I think these sounds great!! I'm very intrigued with this. Saw it on Huffington Post, and I have to pin. I have made this for many years...... they never last long when I make them. You really can't eat just 1....lol.